Memory pillow in viscoelastic material, drilled HD Foam insert in Grey foam, covered with fabric 3D Mesh and External lining CoolMax® fabric. It supports downloading neck muscle tension in the neck area. Triathlon Soft is designed to ensure the recovery of the triathlete who prefers to sleep prone (face down). In the sport of triathlon functional overload due to the stress of the race, the repetitiveness of the rotations during the respiratory phase in swimming and isometric postures own cycling, it can lead to the onset of important musculoskeletal problems borne of the cervical spine : the duration of the competitions then increases significantly the times of the athlete's physical and mental recovery. 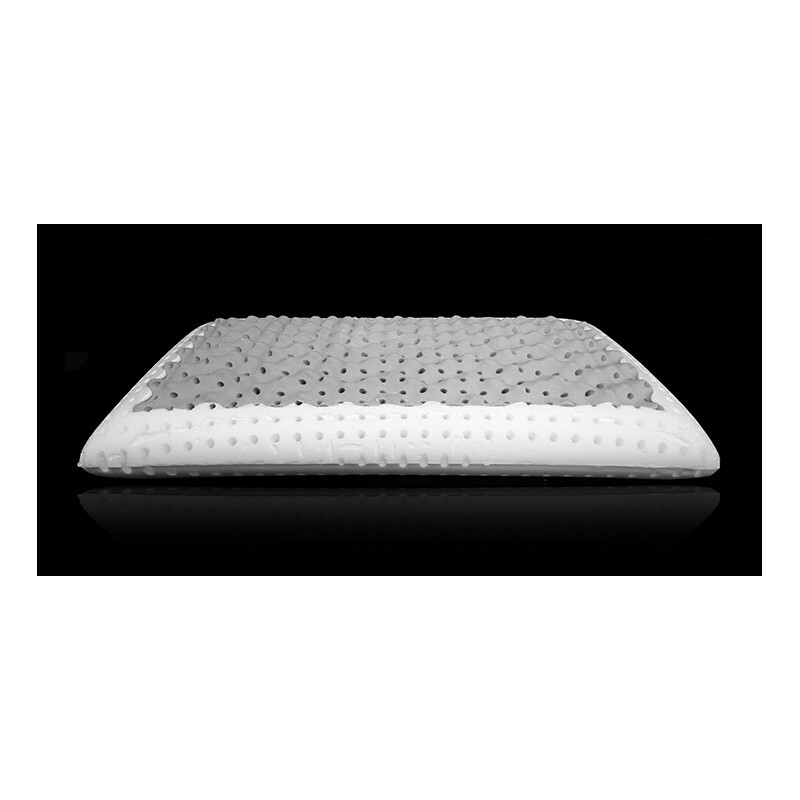 The pillow Triathlon Soft allows the cervical area to find the optimal conditions for a rapid functional recovery. Position Triathlon Soft is suitable for those who sleep supine (belly up). Material inside HD Foam (viscoelastic material obtained by method " Shaping") + Grey Foam (viscoelastic foam).